Aprilaire engineers anticipated that the convergence of energy efficiency and requirements for fresh air would require unique solutions – and set to work developing products and controls that could satisfy this unique application. The Model 8120X Fresh Air Controller optimizes when and how long to ventilate the home based on weather conditions and the indoor relative humidity. This allows homebuilders to satisfy ventilation code requirements and provide the most energy efficient operation by ventilating without introducing overly hot and humid or cold and dry air to the home. Ventilation without this logic increases the burden on HVAC systems and negatively impacts energy efficiency. 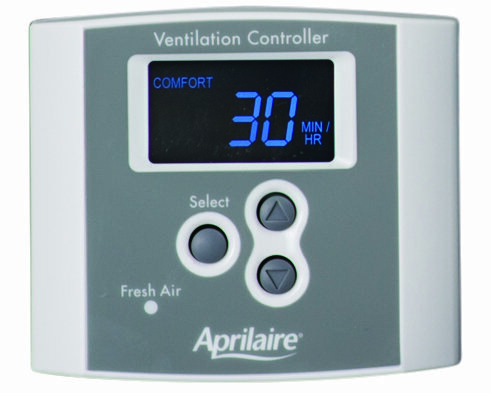 The design work on this product led to a new U.S. patent: “System and method for adjusting fractional on-time and cycle time to compensate for weather extremes and meet ventilation requirements.” This logic is now used in 8120X control and all Aprilaire IAQ Thermostats that offer ventilation control. 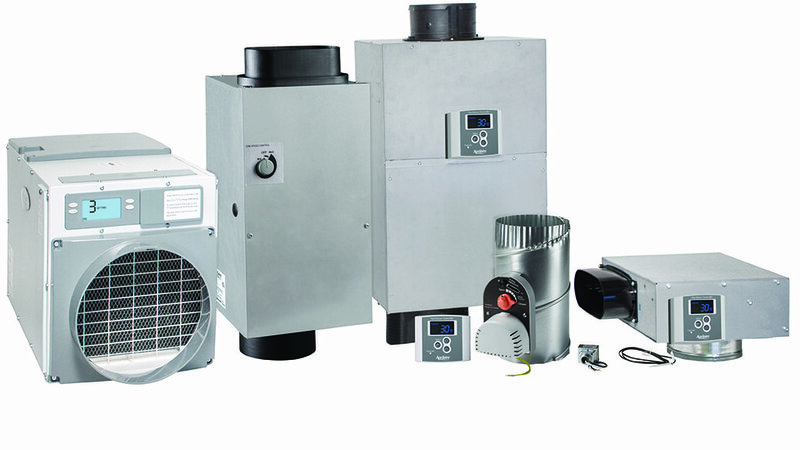 The product is also very easy to set up – with simple prompts that walk the installer through determining the right amount of air flow for the ventilation product. A few simple button pushes also allow raters to check the current settings and airflow of an installed ventilation product. The 8120X and associated logic allows homebuilders to satisfy ventilation code requirements and provide the most energy efficient operation by ventilating without introducing overly hot and humid or cold and dry air to the home. Ventilation without this logic increases the burden on HVAC systems and negatively impacts energy efficiency. Ultimately, home buyers also reap the rewards of this new product by occupying a healthier home with improved indoor air quality and lower utility bills.